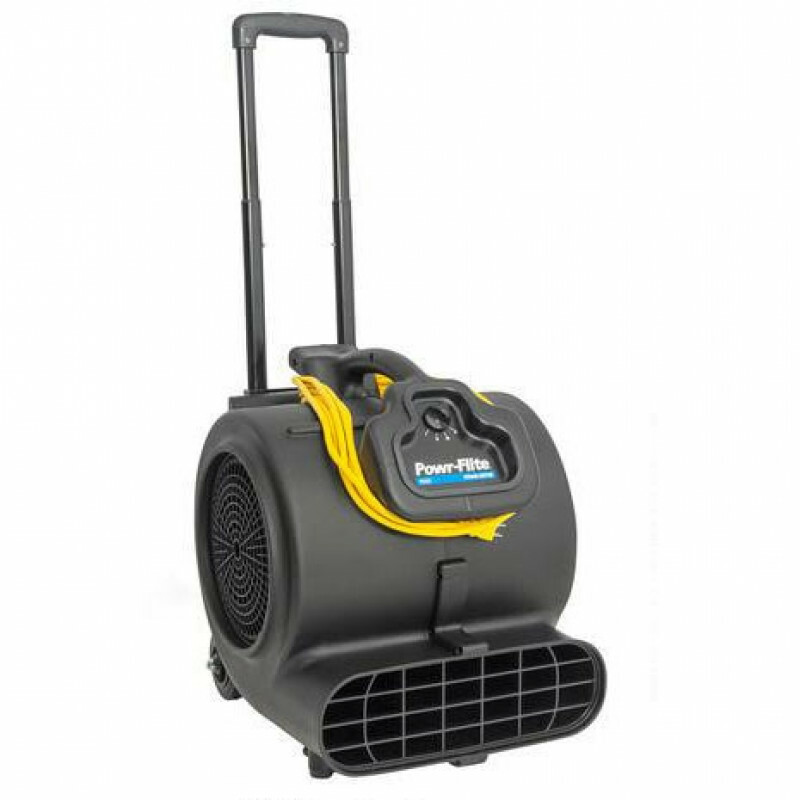 This Powr-Flite air mover is very similar to the Ridgid air movers, but this one comes at a much more economical price! It is used by many of our customers in their business entrances, hotel hallways, and gymnasiums. These help to ensure a dry floor, so your customers do not slip and fall. 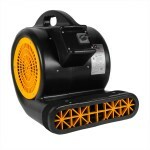 We have placed these air movers in gas stations, schools, universities, and hospitals. They are perfect for cold or wet environments, where snow, slush, and water can get tracked into your business. This allows you to feel safe that you are providing a safe, slip free, environment for your customers and employees. Quickly dries floors, carpets, and other damp areas. Great for moving from job to job due to the transport wheels, and extendable handle. Please feel free to take a look at all of our air moving carpet drying fans for other styles, models, CFM ratings, and amp draws. Quiet 3-speed design, moving up to 3800 FPM of air. Ridgid design with transport handle and wheels allow you to move this machine from job to job. Space saving stackable design allows for multiple units to be stacked for storage. Plastic injection molded body ensures no rusting, for longevity of machine. 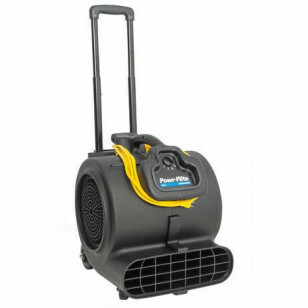 20 foot power cord, and 3 operating positions, allow for multiple drying opportunities. This is a review for the Powr-Flite® Ridgid Style Air Mover w/ Handle & Wheels.